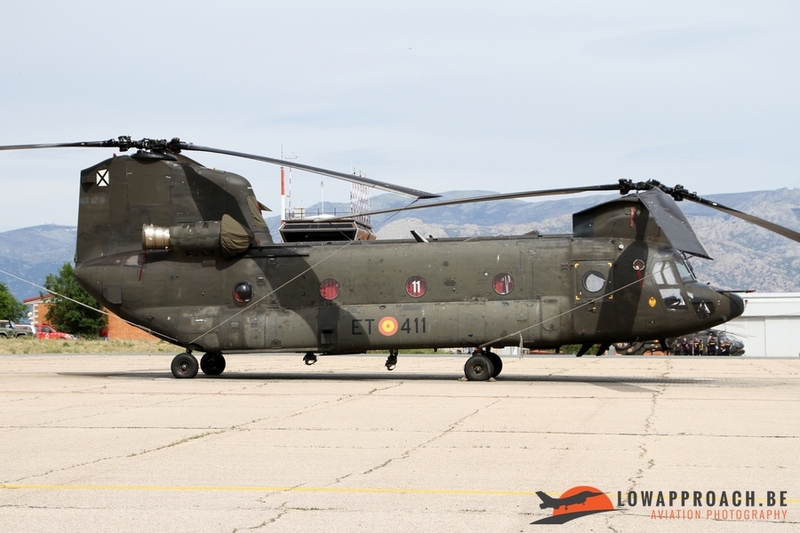 In May 2017 four members of Low Approach Aviation Photography spend a week in Madrid in Spain. 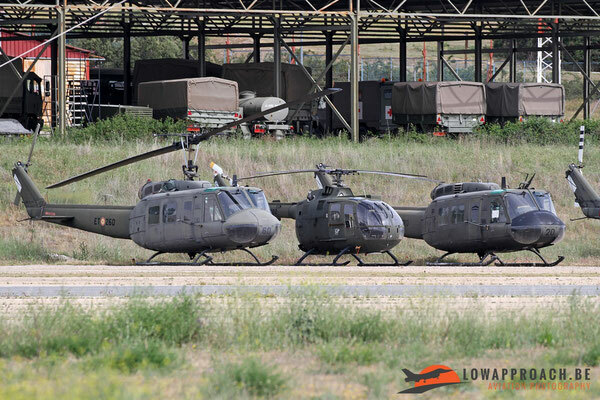 On Wednesday we were able to visit the FAMET base of Colmenar Viejo which is located about 30 km North of Madrid. 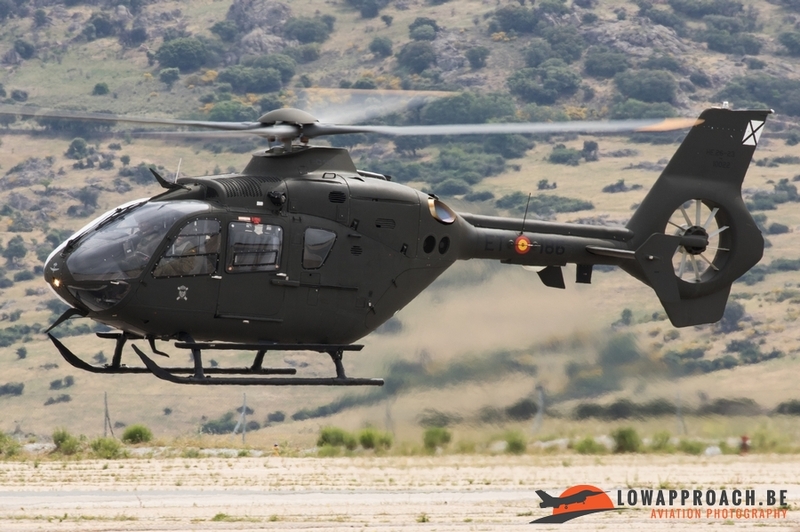 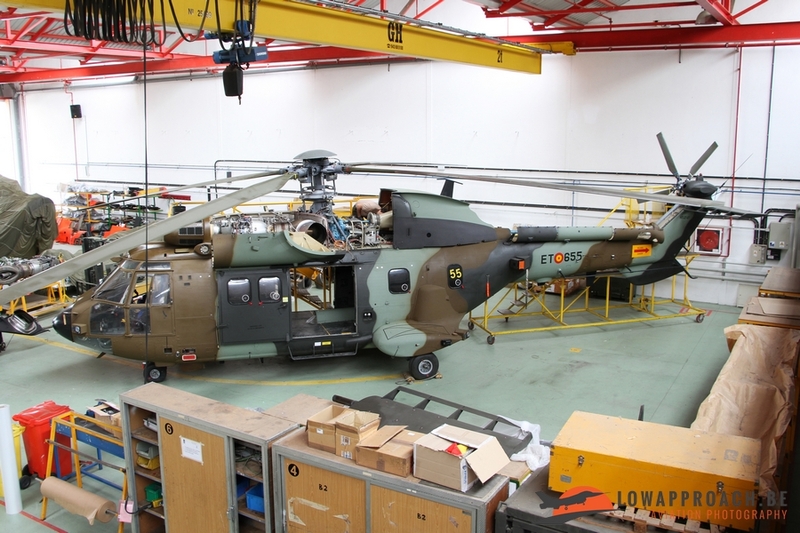 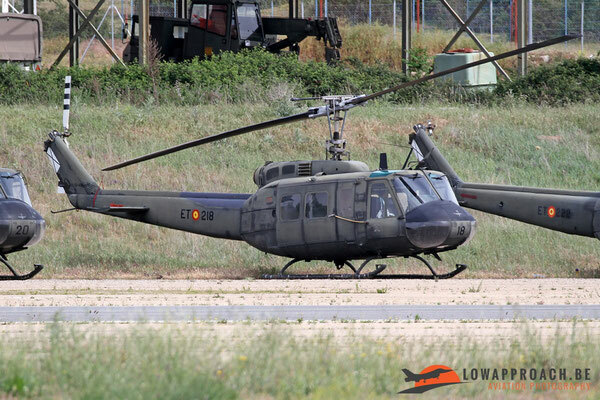 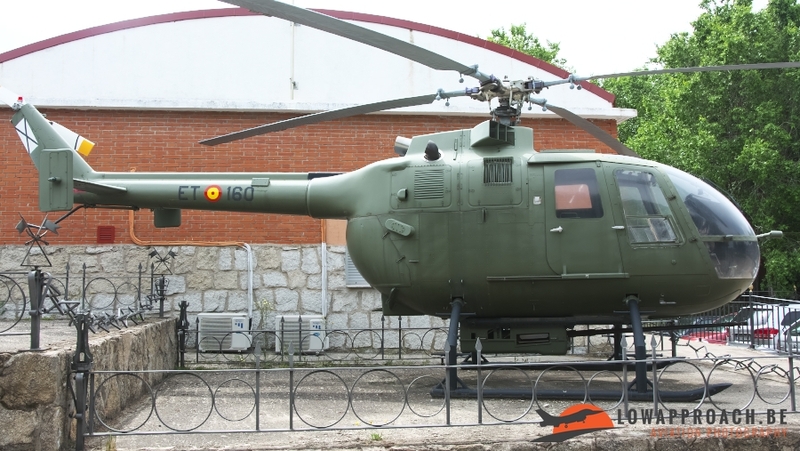 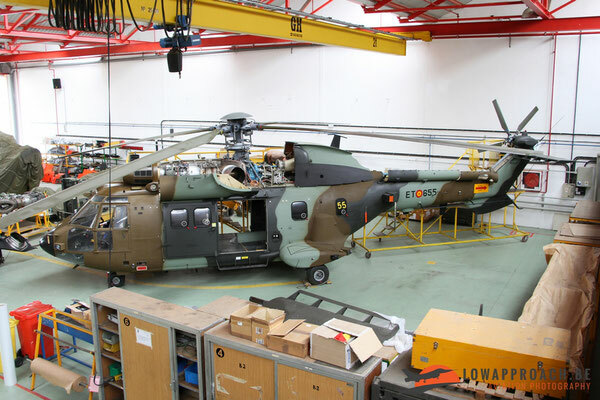 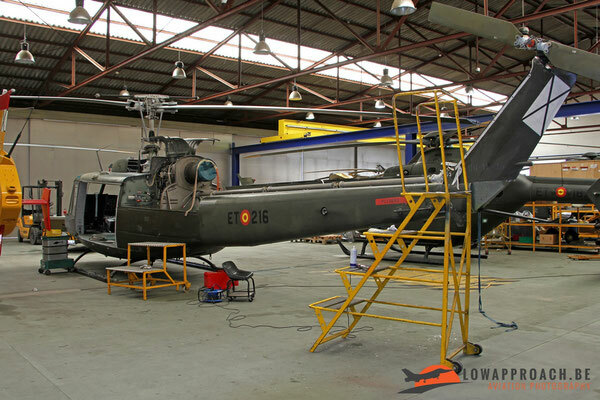 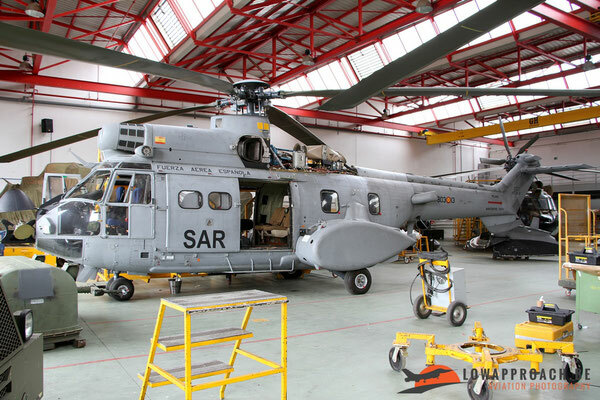 The Fuerzas Aeromoviles del Ejército de Tierra, or FAMET, is the aviation element of the Spanish Army and operates a wide selection of helicopters which are based strategically over the Spanish territory. Base Coronel Maté at Colmenar Viejo is the home of several units which will be covered in the following overview. 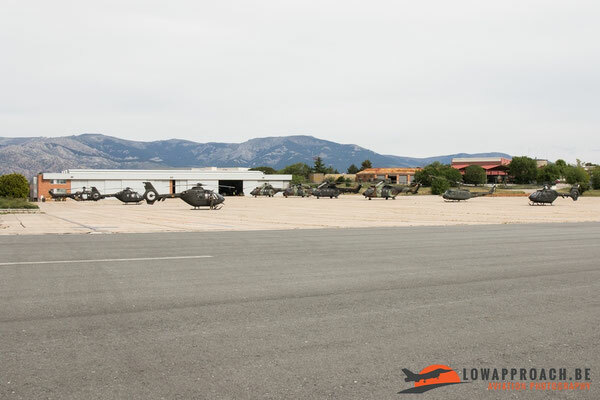 After our arrival and the required identity checks we were greeted by our hosts, Major Vida and Captain Herrero, who would guide us through the various facilities and provided us with the necessary explanations on what we were seeing. 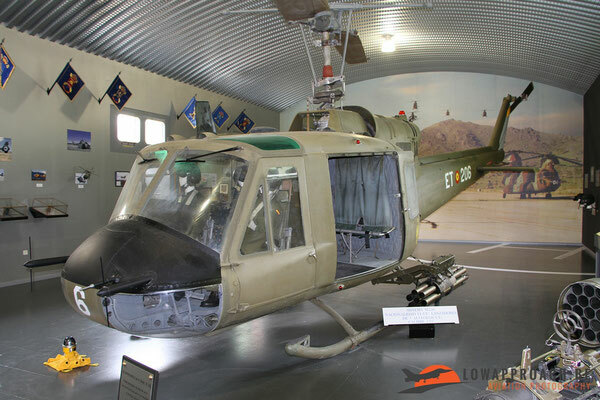 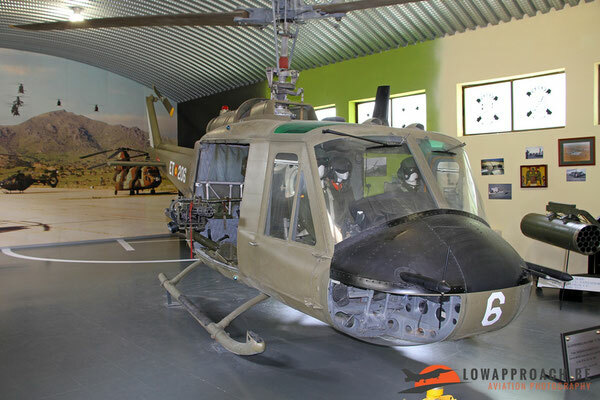 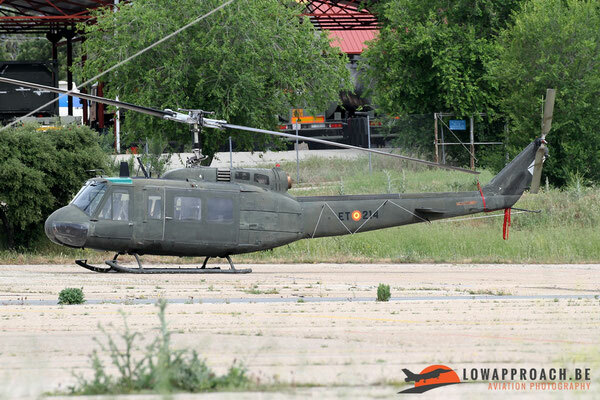 The first unit we visited was the 'Parque y Centro de Mantenimiento de Helicópteros', or PCMHEL. 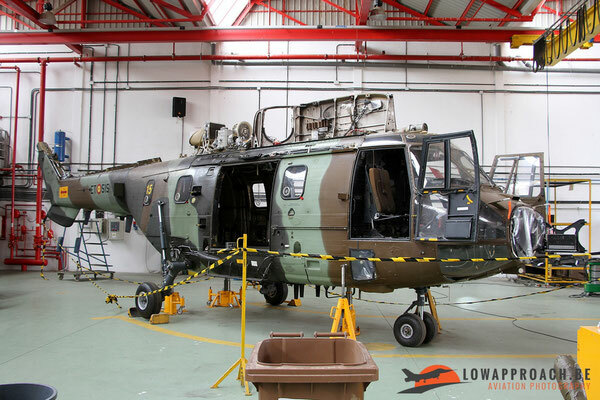 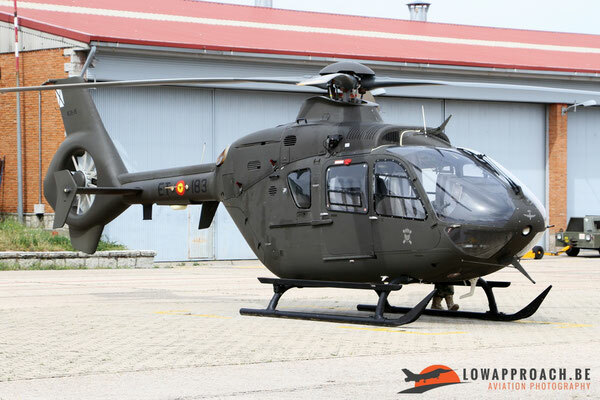 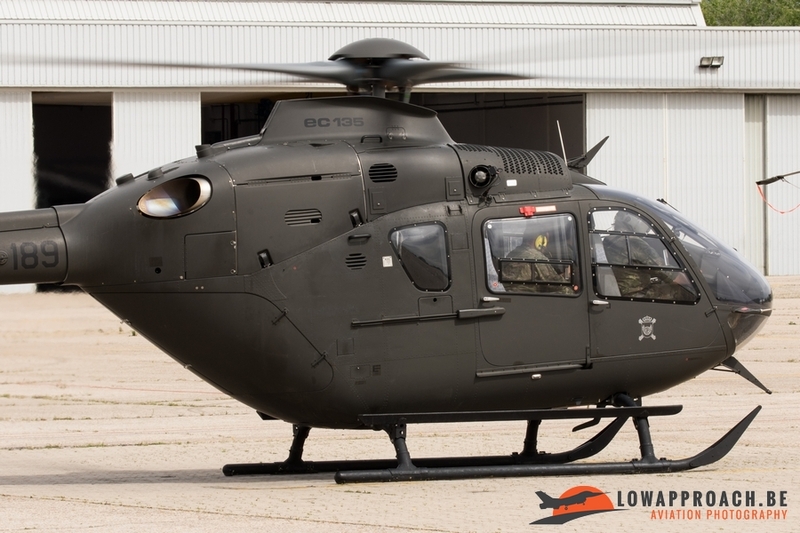 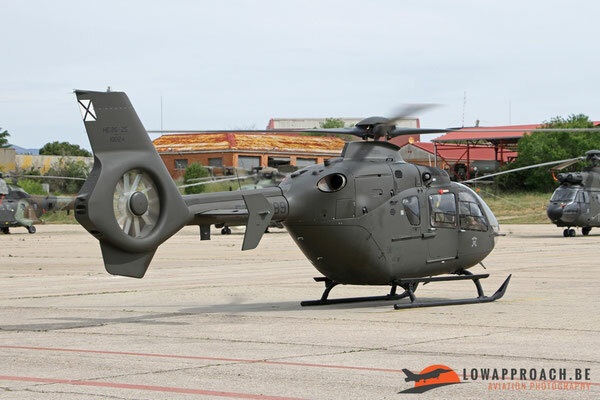 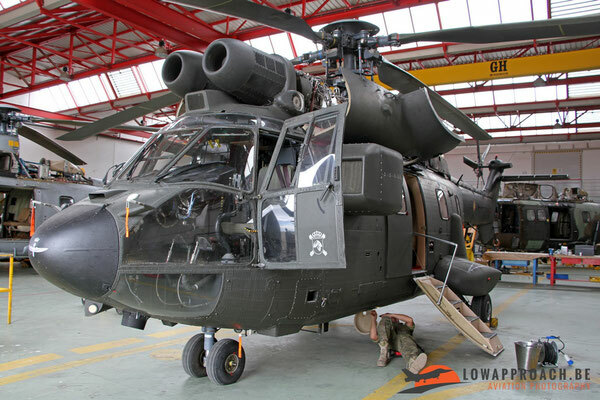 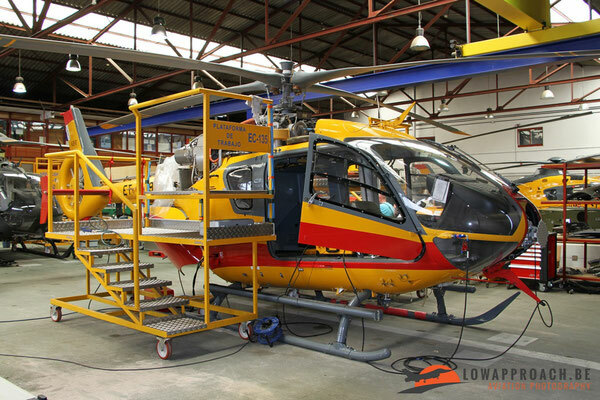 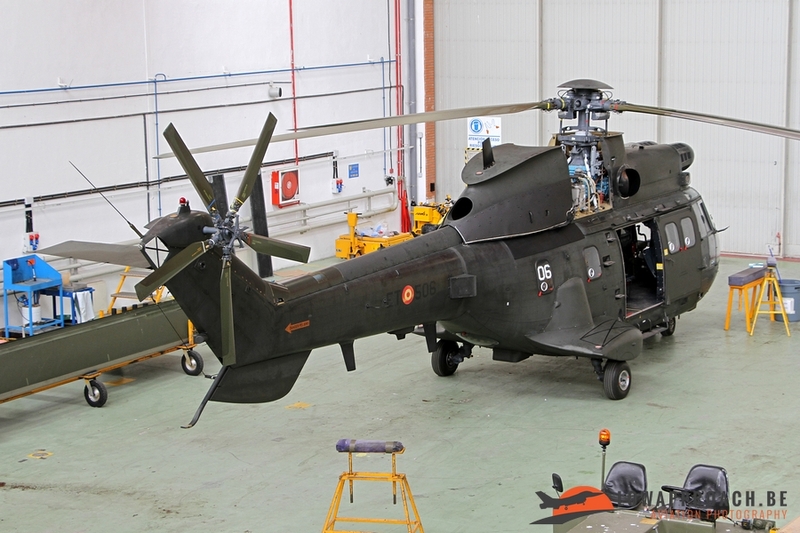 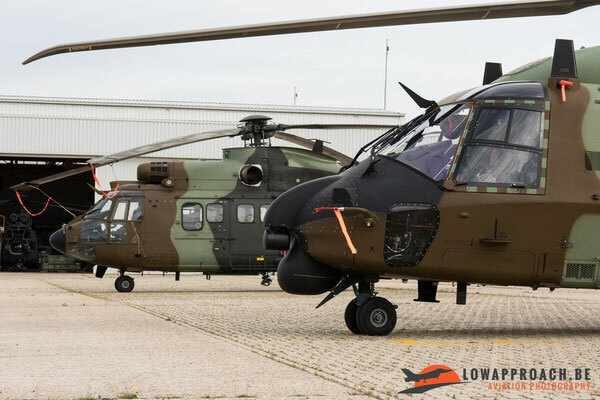 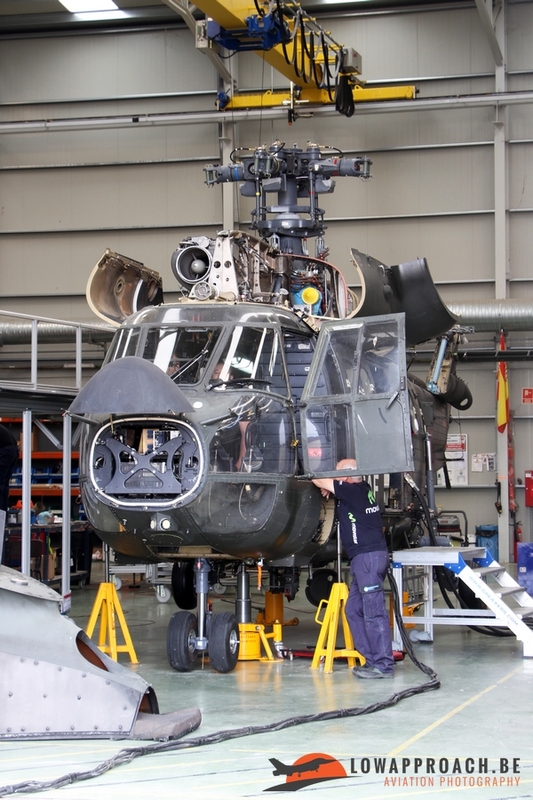 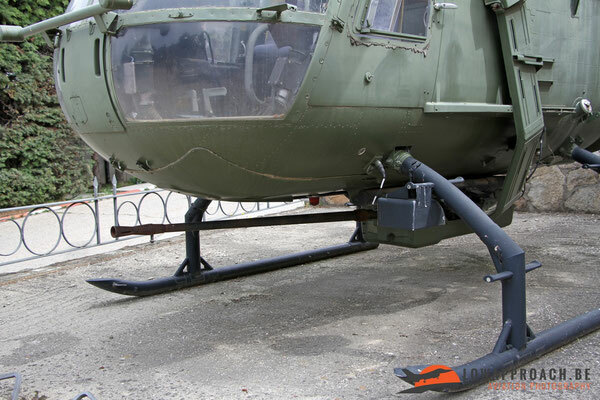 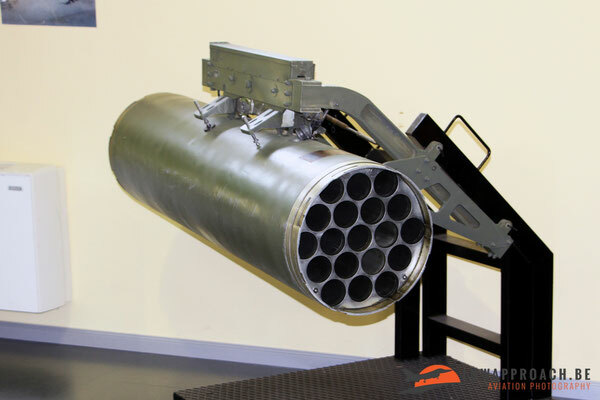 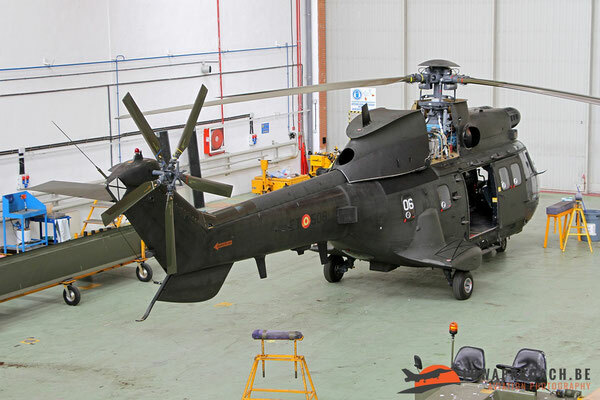 This maintenance unit provides the higher level maintenance for the entire Army Aviation Fleet, at the same time they support the different helicopter battalions with their lower level maintenance tasks. 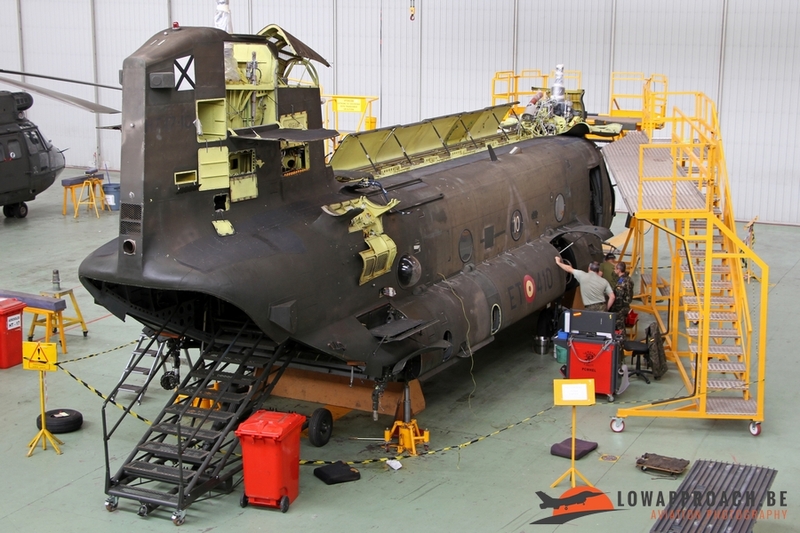 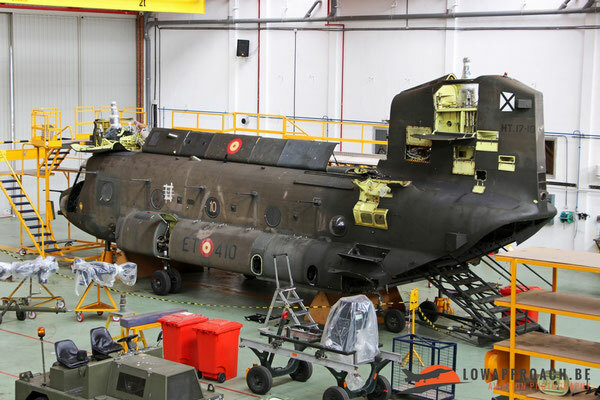 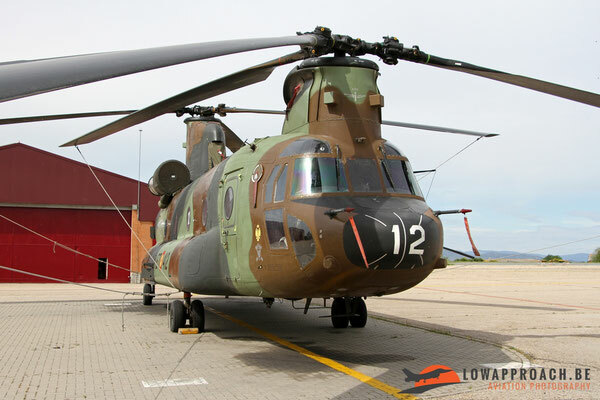 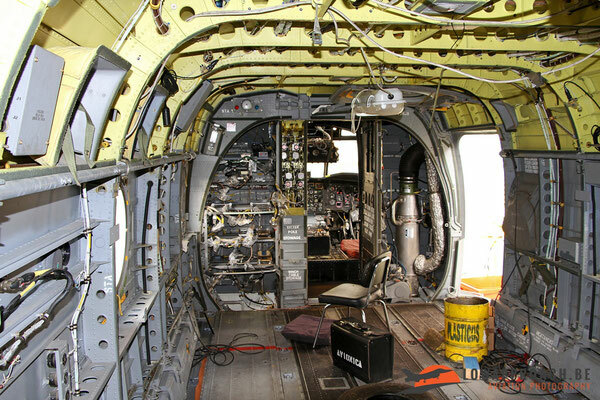 At our arrival in the maintenance hangar one of FAMETs Boeing-Vertol CH47D Chinook was undergoing some deep maintenance and we were given the opportunity to make the pictures we wanted. The Chinook involved, HT.17-10/ET-410, was still wearing the old dark colorscheme, which is now gradually being replaced by a new three-tone camouflage scheme. As already mentioned PCMHEL performs maintenance on all helicopter types of FAMET, and also a number of Super Pumas/Cougars were undergoing work. As you can see also the Cougar/Super Pumas are equally undergoing the transition from the old darkbrown colorscheme to a much more attractive three tone camouflage scheme. 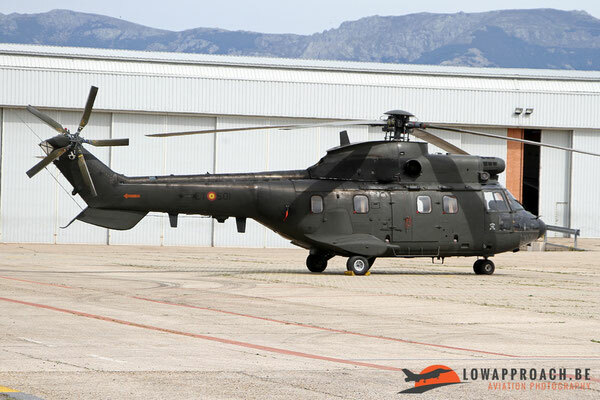 One of the Super Pumas present was one of the two examples that are specially equipped for the transport of VIP’s. These aircraft have a more luxurious interior and are equipped with an airconditioning system. 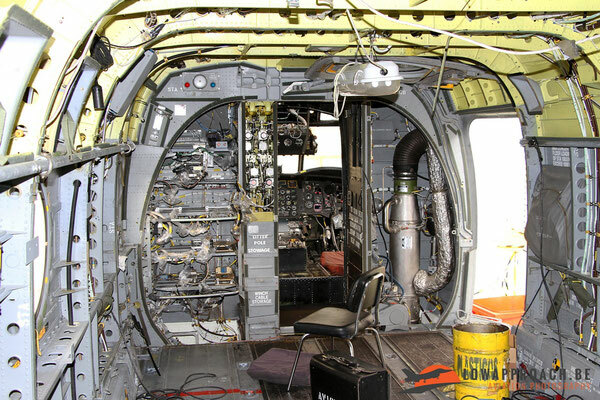 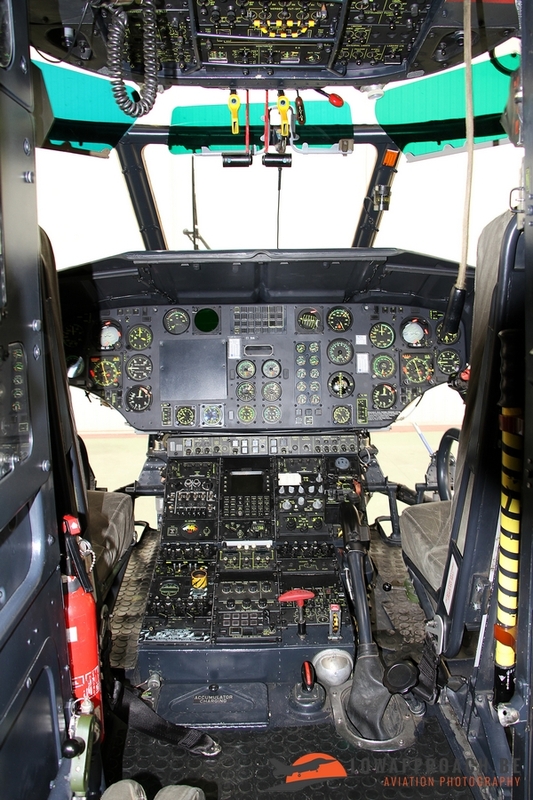 This airconditioning system is visible from the outside in the shape of a large box on the left hand side of the helicopter. 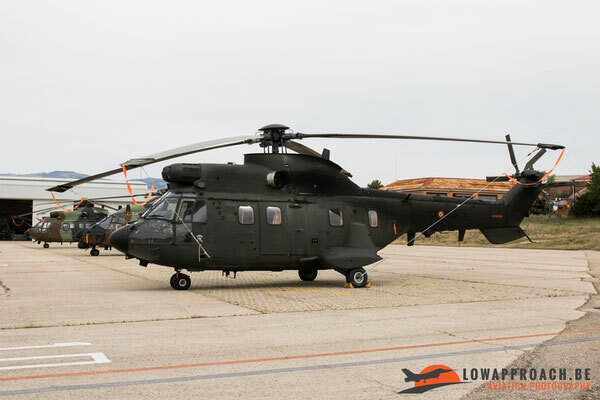 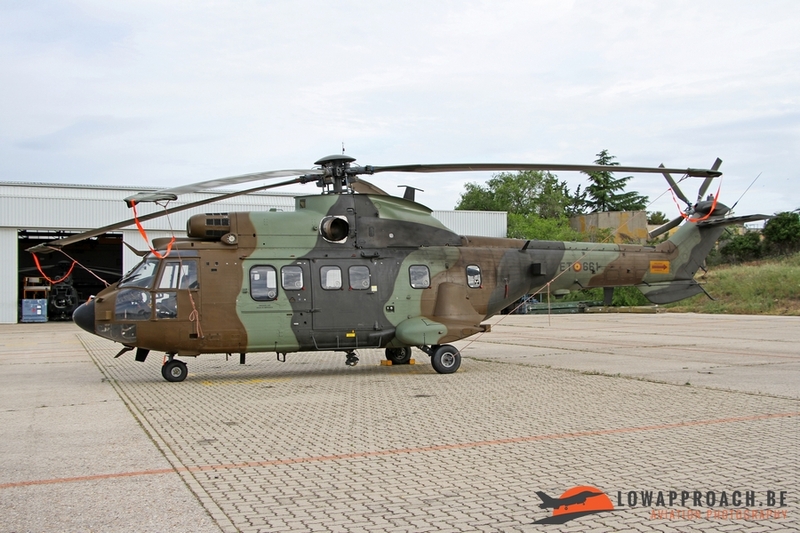 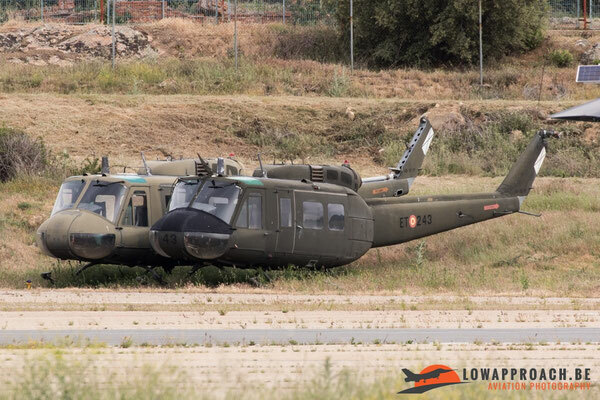 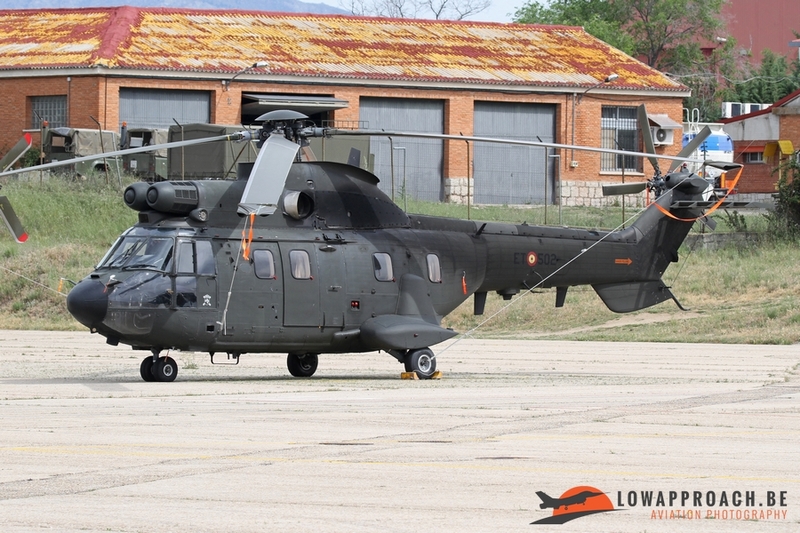 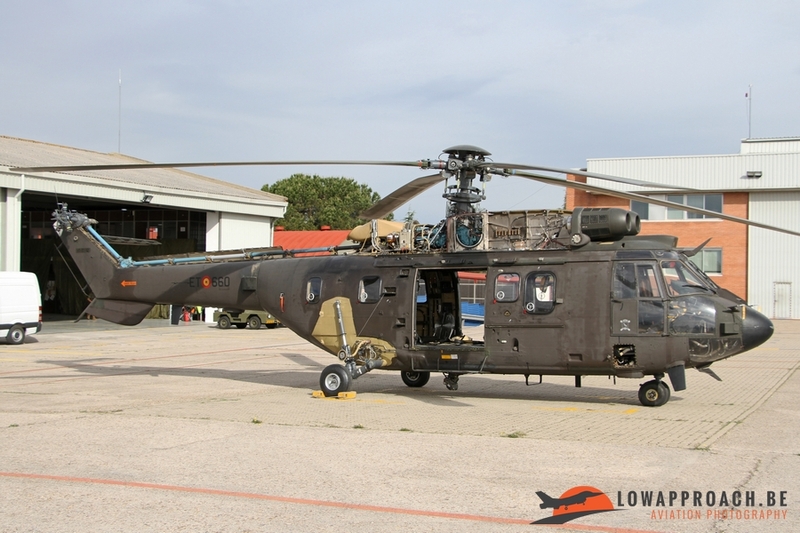 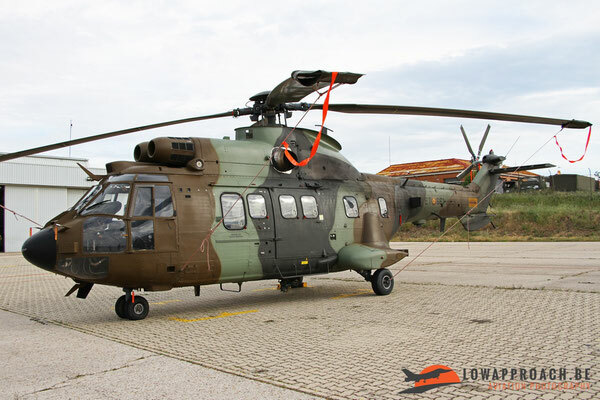 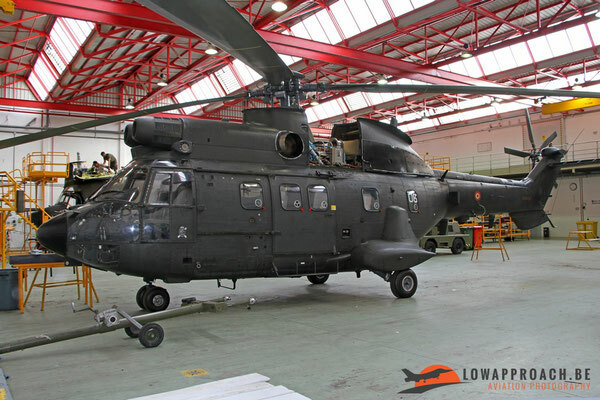 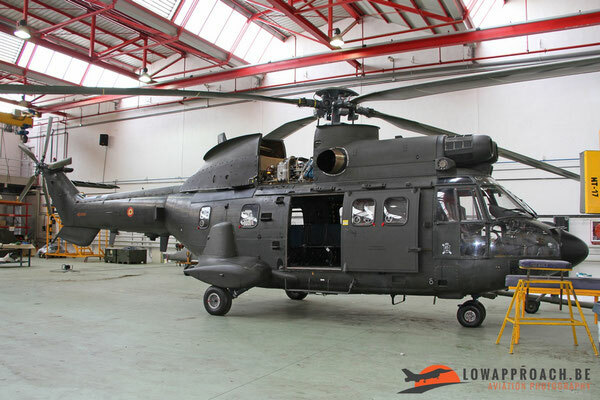 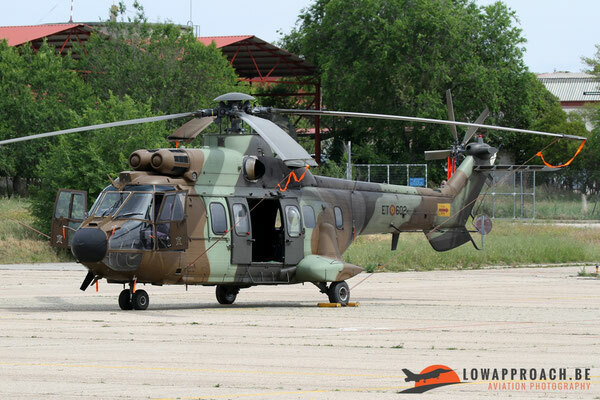 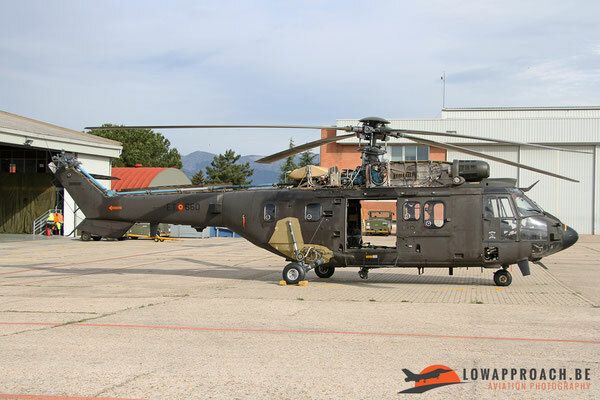 The expertise of PCMHEL is also used by the other armed services in Spain, proof of this was the presence of a grey Search and Rescue Super Puma operated by 803 Escuadron of the Ejercito del Aire, Spanish Air Force, based at Cuatro Vientos. 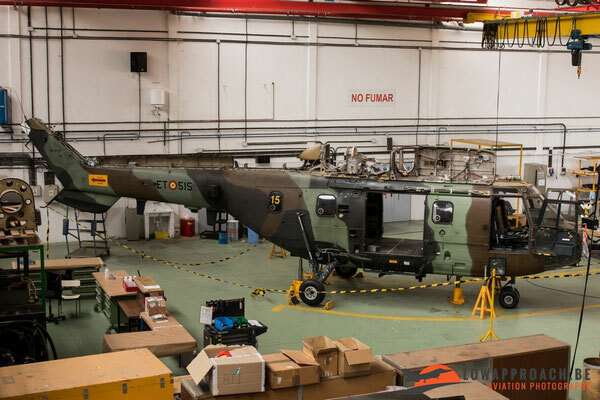 After our visit to a number of other maintenance departments like the paintshop and the avionics department we headed outside to visit the first platform. Here we saw, apart from a number of standard equipped Super Pumas/Cougars, the second VIP Super Puma in the fleet. 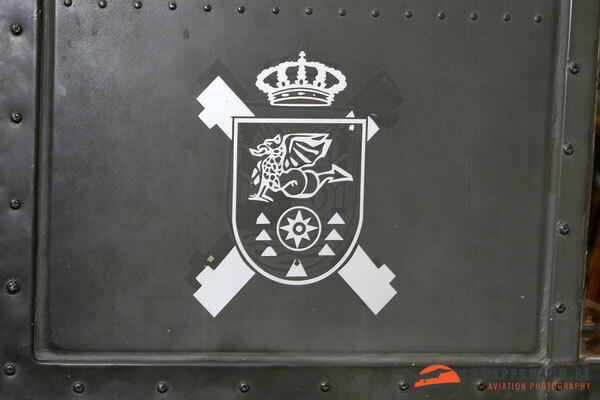 All Cougars/Super Pumas at Colmenar Viejo are operated by BT FAMET, Batallón De Transmiones. 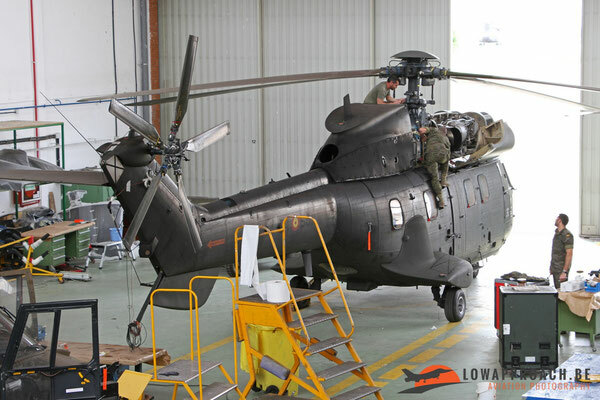 This unit comprises a number of units specialised in electronic measures, countermeasures and communications to support the helicopter units in the field. 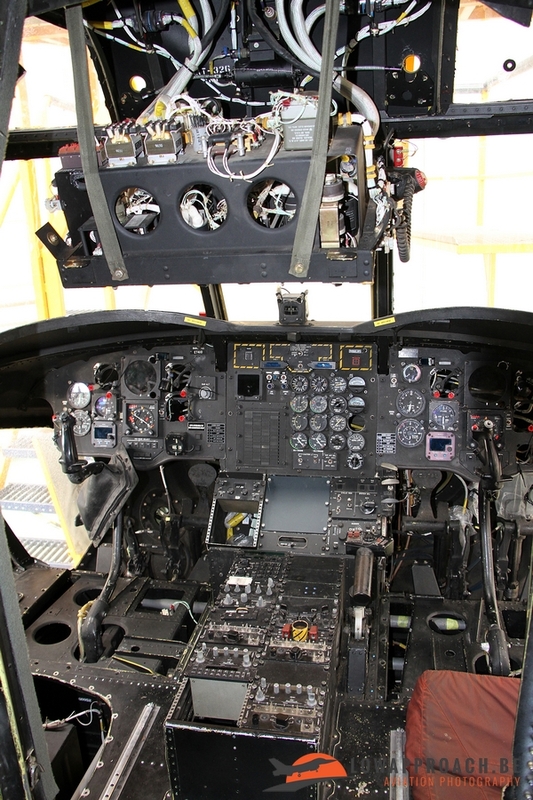 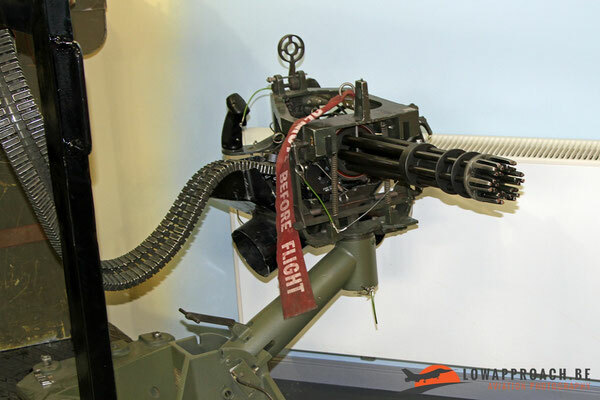 Besides these specific signal units, the Battalion also has a Flight Unit equipped with the Super Puma and Cougar, including the two VIP versions. 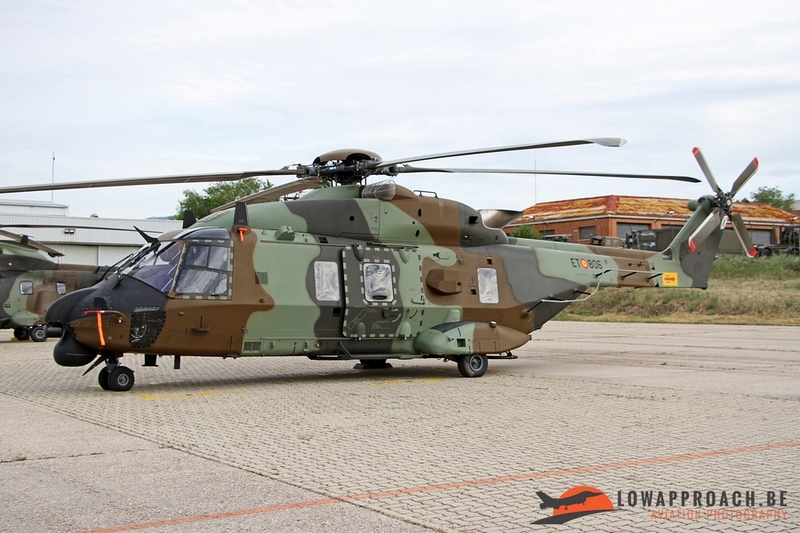 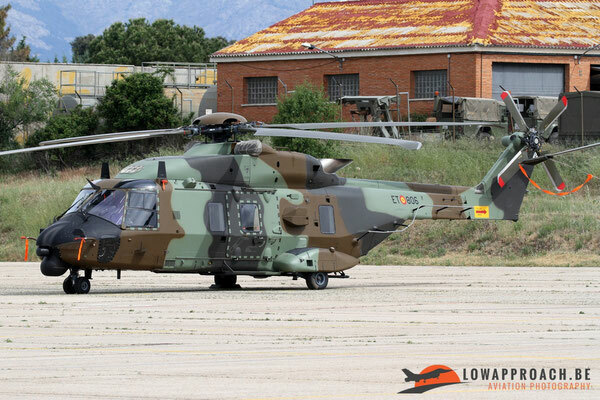 During our visit also a nice visitor was present in the shape of one of the first brand new Airbus Helicopters NH90TTH’s, which came from BHELMA III (Batallón de Helicópteros de Maniobra III) based at Logroño in the North of Spain. Here the NH90TTH is replacing the last Messerschmitt-Bolkow-Blöhm Bö105’s in service with FAMET. 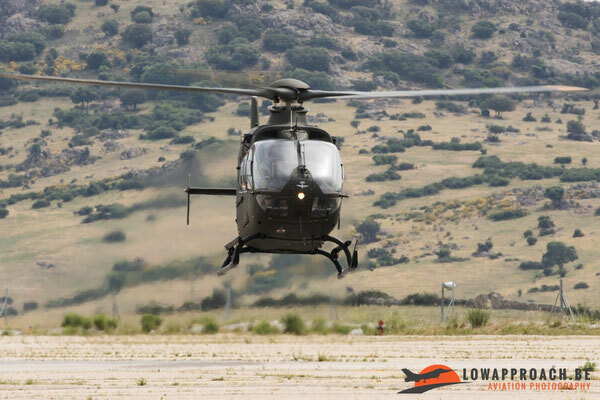 The latest reports indicate that the Bo105 will be completely withdrawn from service by the end of 2017. 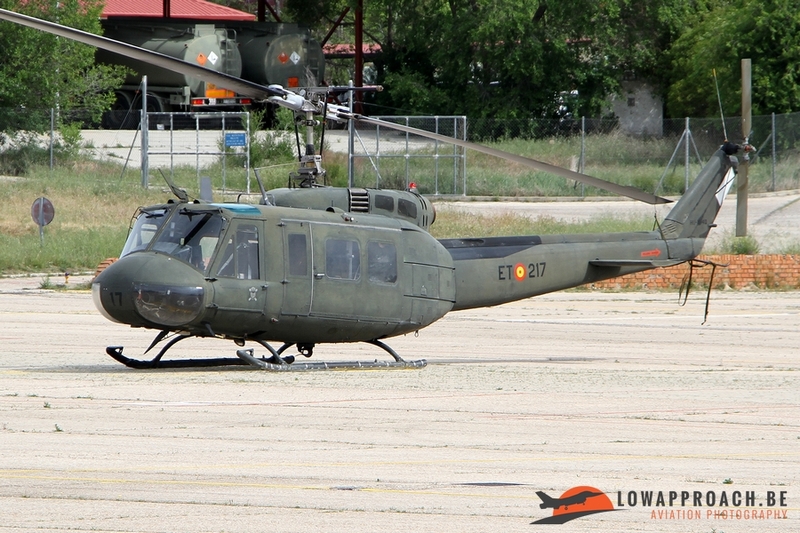 On the flightline another nice surpise was awaiting us, and this in the shape of a handful Bell UH1H Iroquois helicopters, which also appear to be in use by BT FAMET. 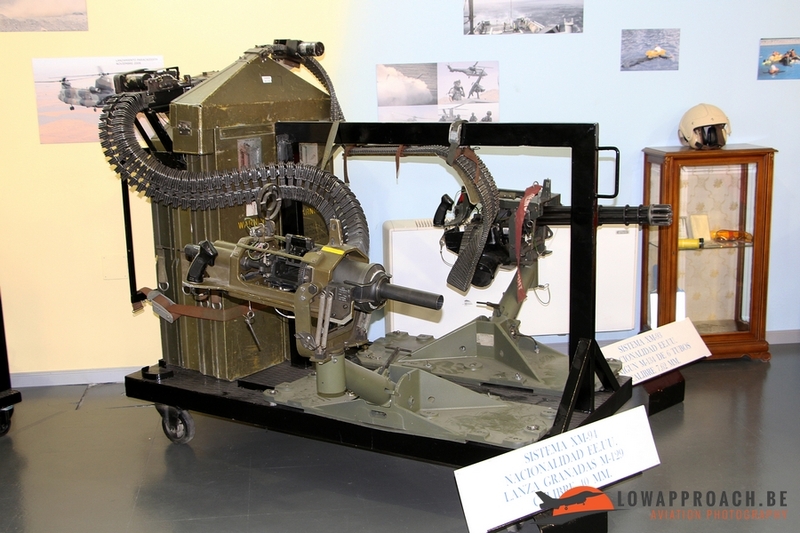 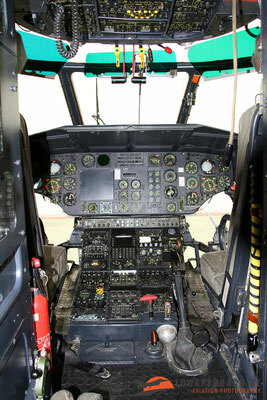 Our expectation is that also this type gradually will be phased out and replaced by more modern equipment. 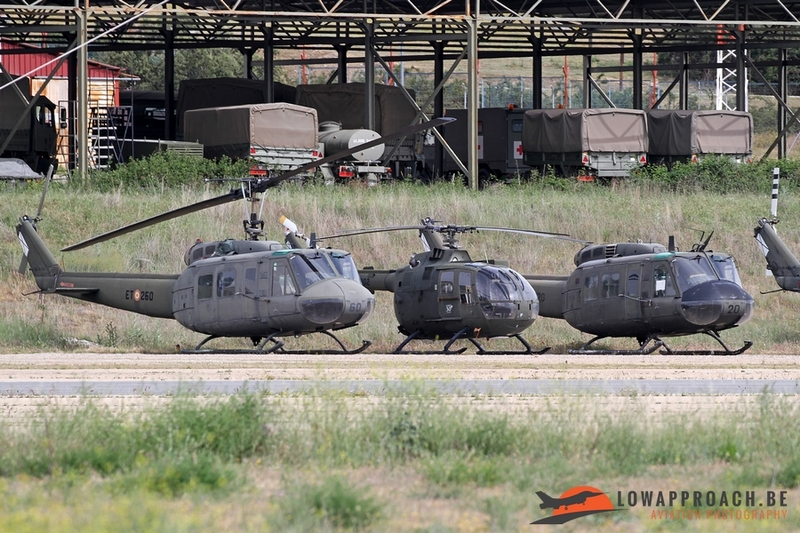 Next to the platform a number of additional stored Hueys could be seen, and these had certainly seen better days. 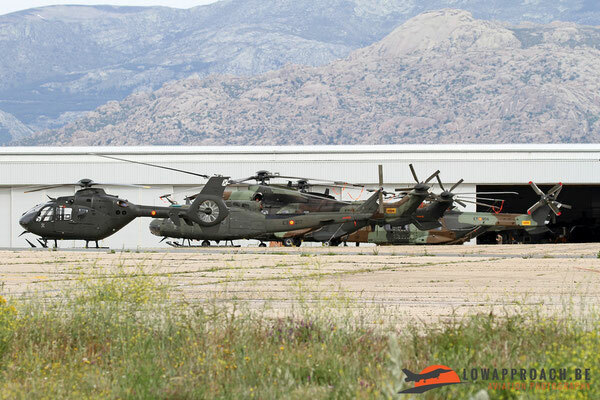 In this row also a single MBB Bo105 was present. 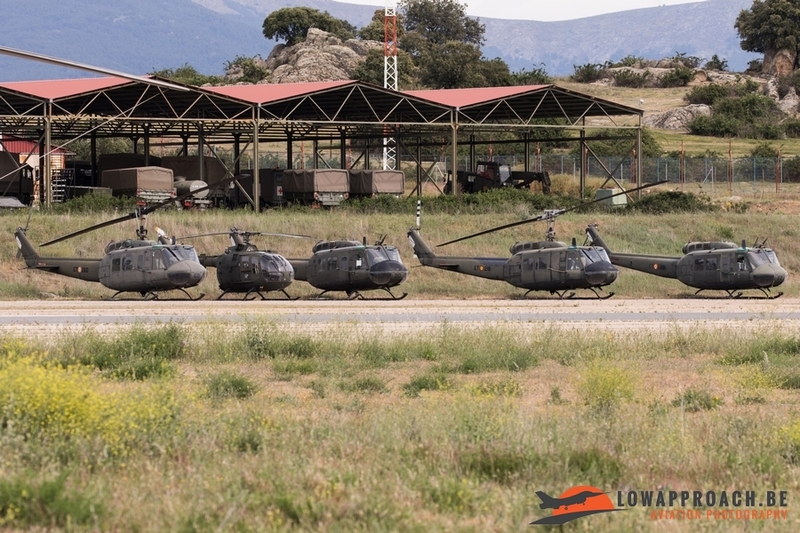 The next unit present at Colmenar Viejo is CEFAMET, Centro de Enseñanza de Helicópteros, the FAMET Training Center tasked with the training of future helicopter pilots. 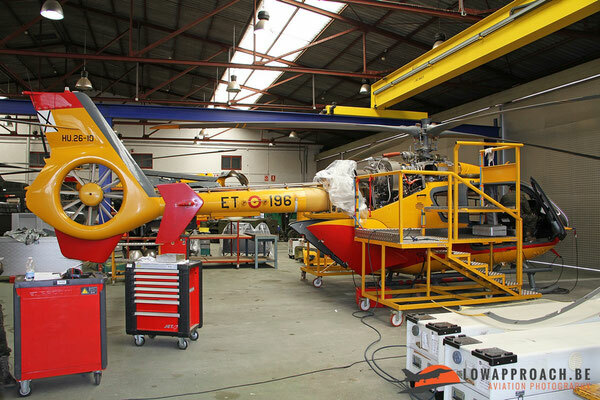 In addition CEFAMET is also responsible for the training of helicopter maintenance staff. 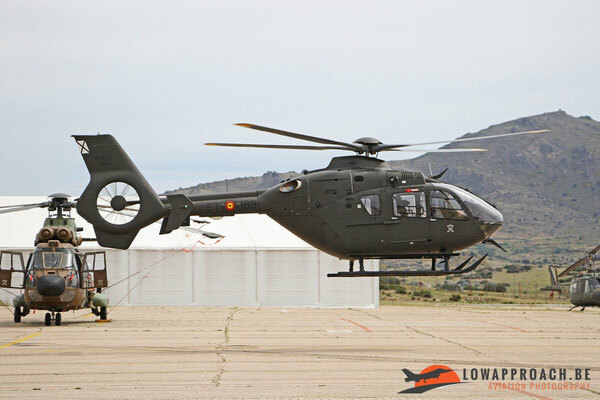 The helicopter used for pilot training is the Eurocopter EC135T2+, a number of which were also present on the platform. 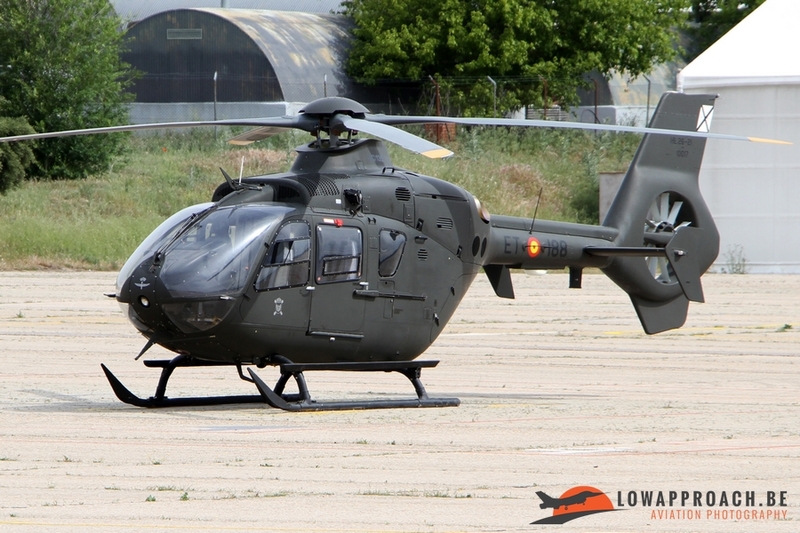 One of the EC135T2+’s provided the only flying activity during our visit. 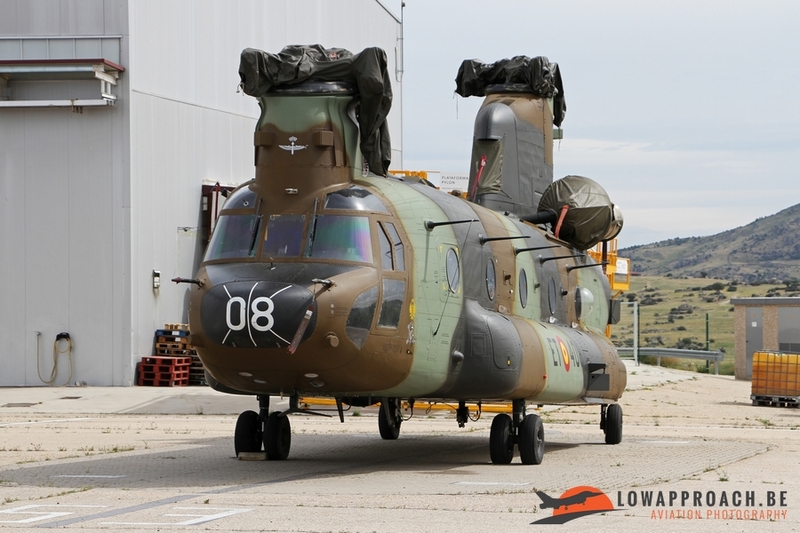 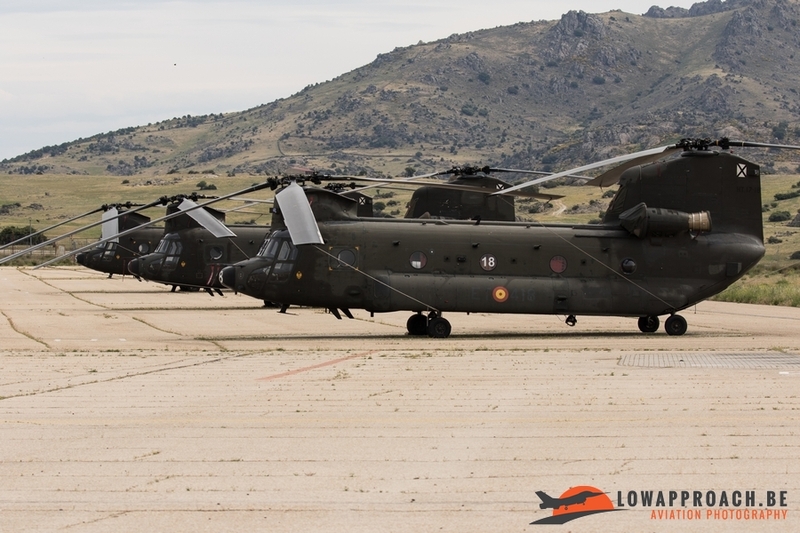 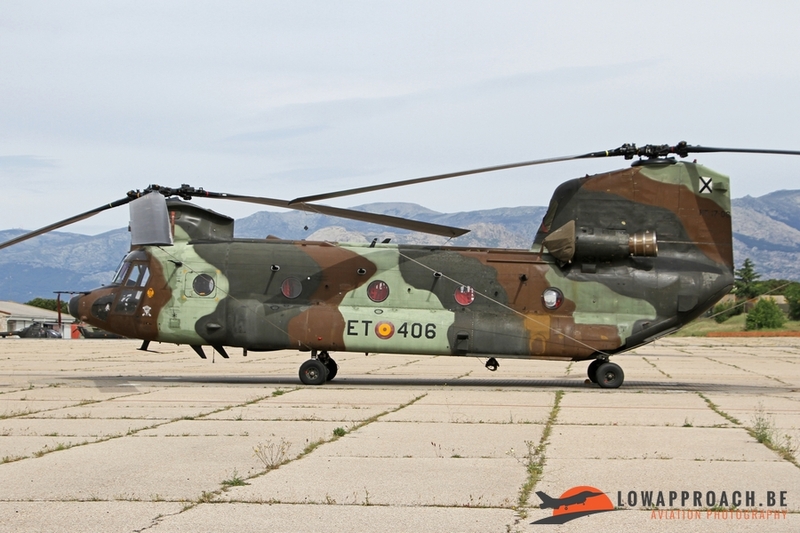 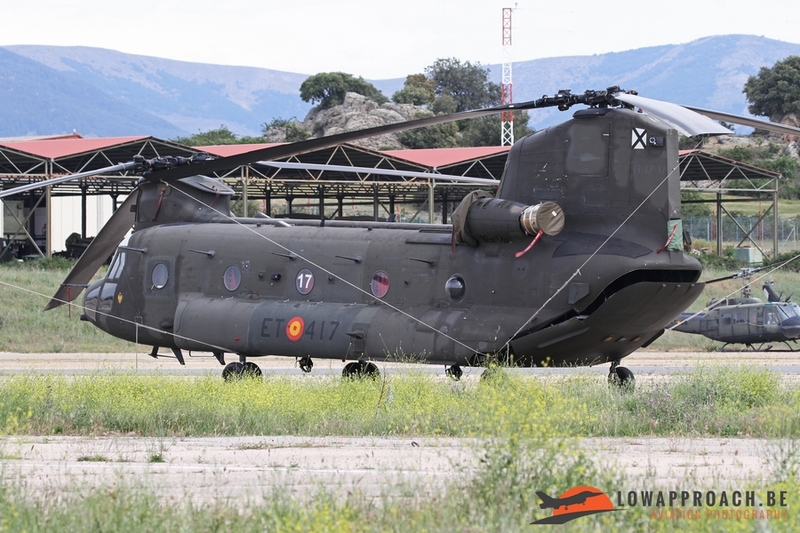 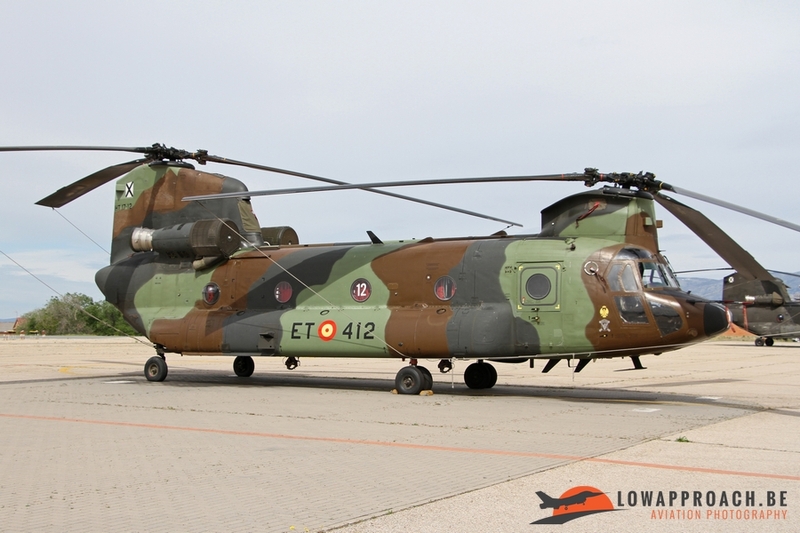 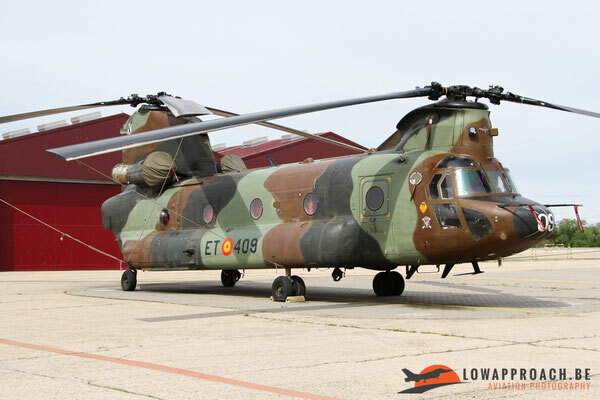 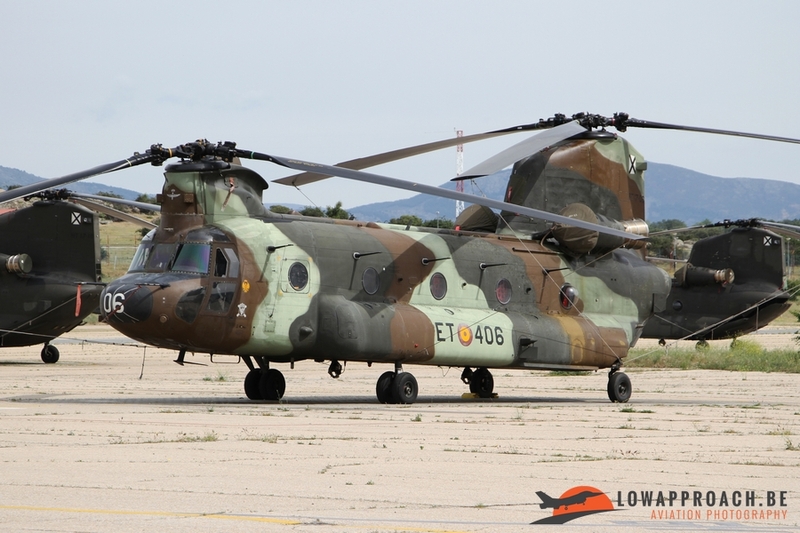 A second training unit is CESIFAMET, Centro de Simulación de las FAMET, is composed of a number of simulator systems in different locations, Colmenar Viejo houses the simulators for the CH47D Chinook and the AS532 Cougar. 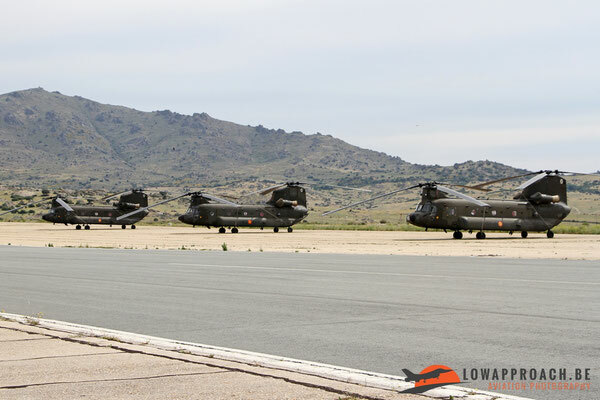 When we had covered this first platform we received approval from Flight Operations to cross the runway for a visit to the second platform. 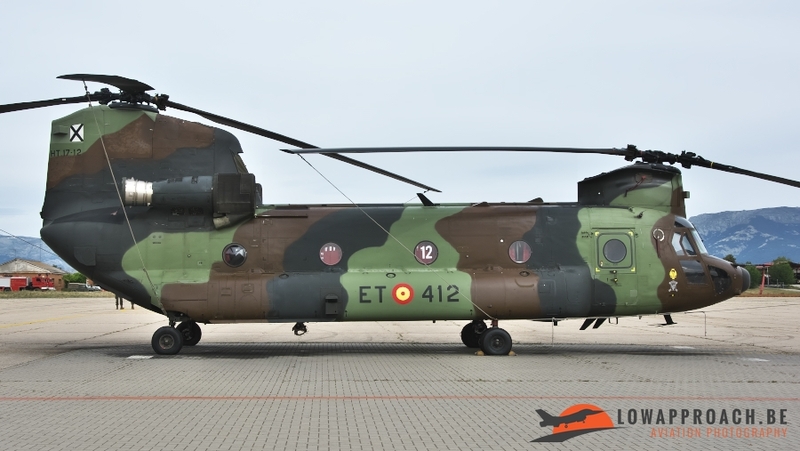 This platform is used primarily by BHELTRA V, Batallón de Helicópteros de Transporte V, that is equipped with the Boeing-Vertol CH47D Chinook. To our surprise our hosts gave us full freedom to cover this area and we managed to photograph all the aircraft present. 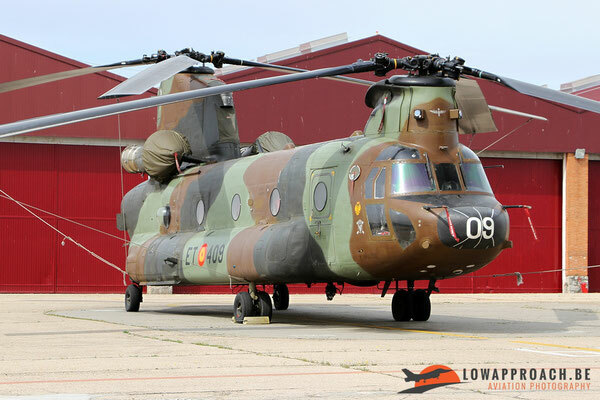 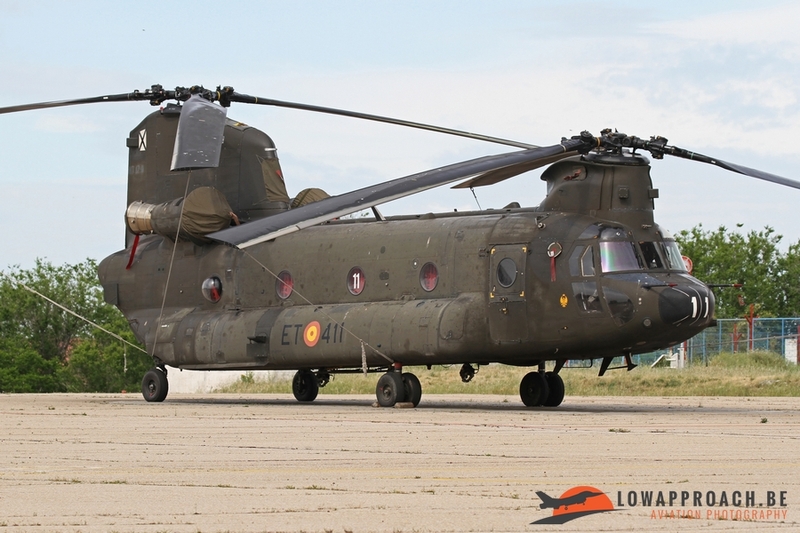 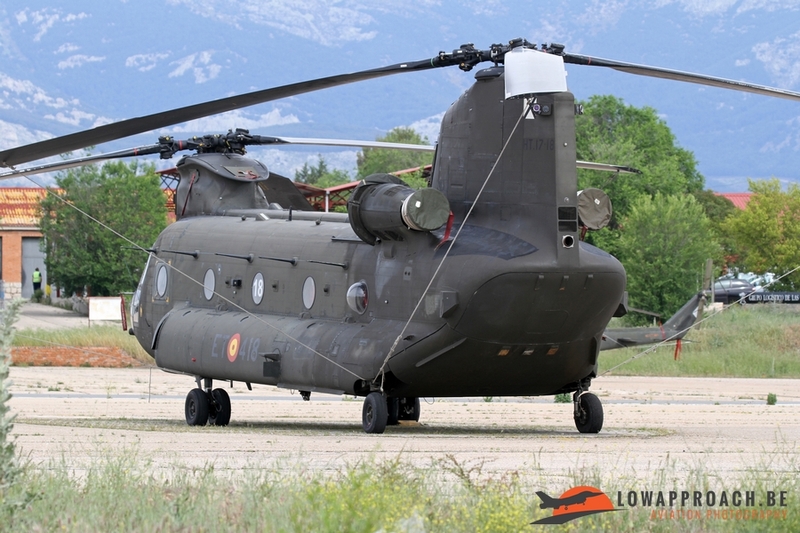 The Chinook entered service with FAMET over 30 years ago, and thanks to continued upgrades the helicopters still are on the latest standard of technology. The unit is operating all over the Spanish territory and supports infantry, artillery and paratrooper units with a variety of tasks, from the transport of personnel, the airlifting of armament and providing a platform for paradrops. 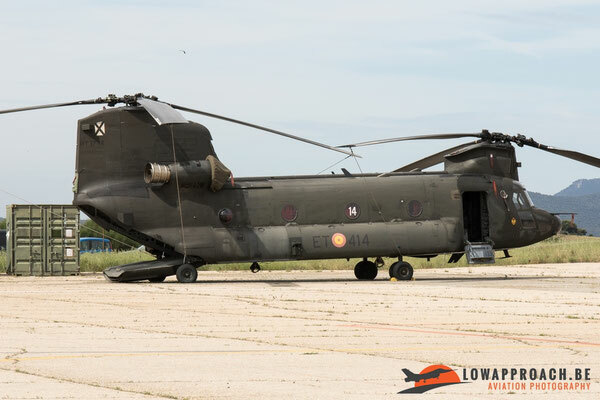 Spanish Chinooks were also deployed to Iraq, Afghanistan and Albania in different humanitarian and peacekeeping missions, where this 'heavyweight' capability was greatly appreciated by the ground troops. 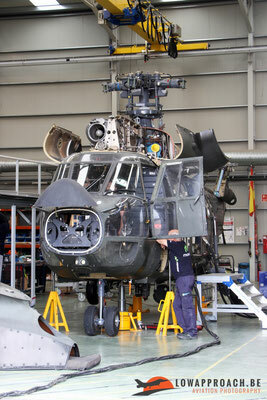 After our visit to the Chinook platform we headed for a next maintenance unit. 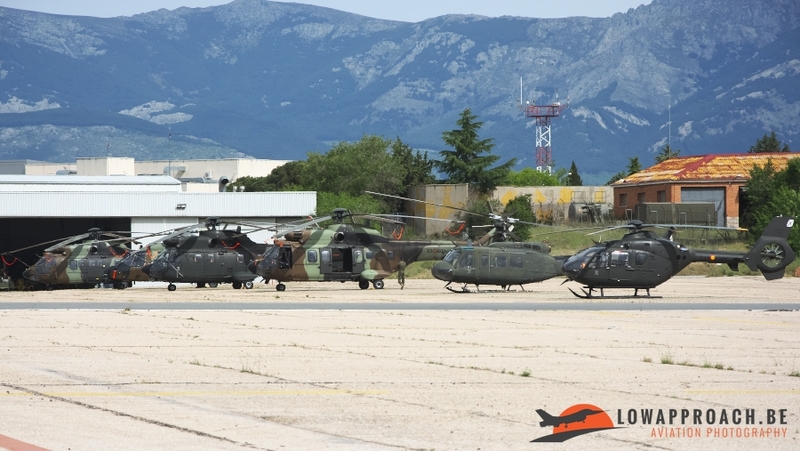 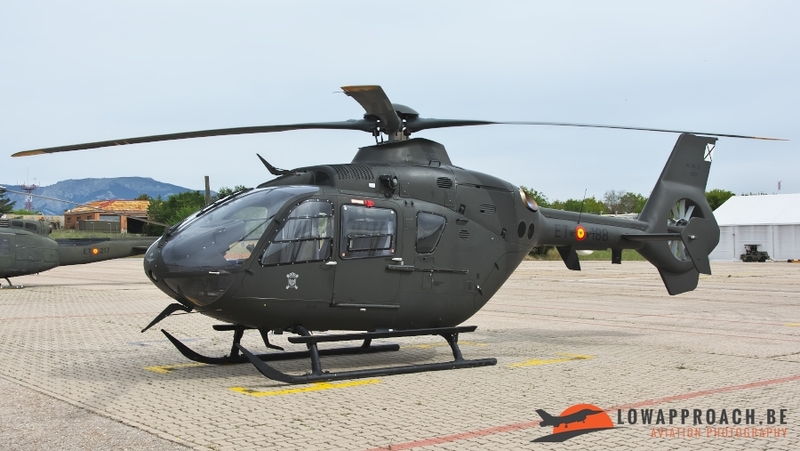 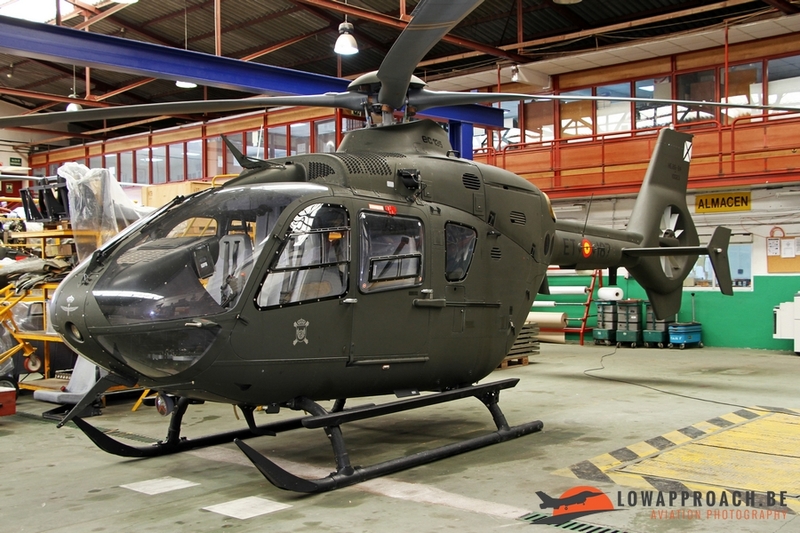 Here we discovered two EC135P2+’s which are allocated to BHELEME II/UME, Batallón de Helicópteros de Emergencias II/Unidad Militar de Emergencias. This unit is the youngest unit within FAMET. 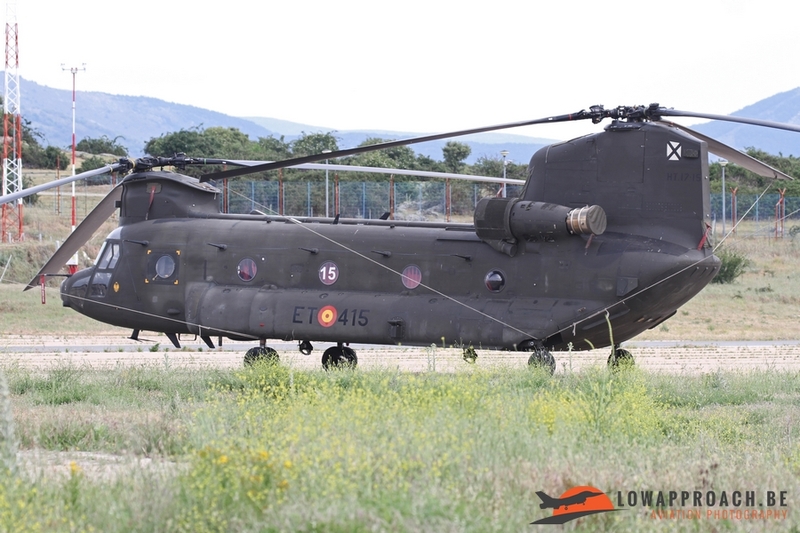 UME is the Military Emergency Unit comprising a number of Intervention Battalions spread over the Spanish territory. 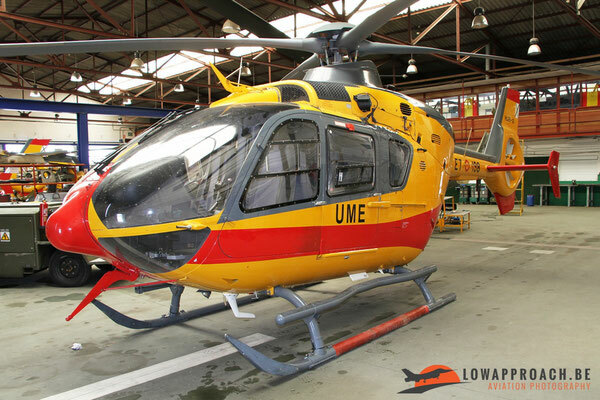 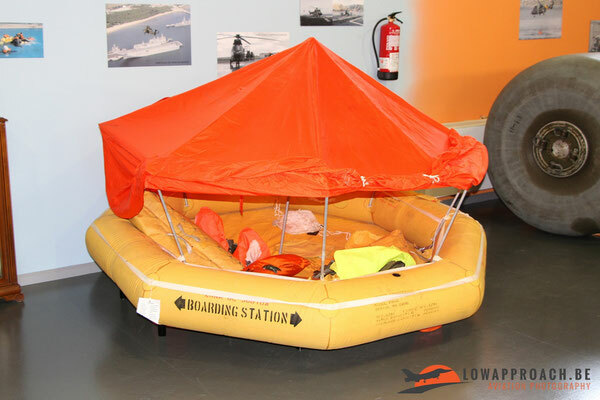 The flying part of UME comprises a number of aircraft and helicopters that can be deployed in case of an emergency, providing relief, rescue and firefighting missions. 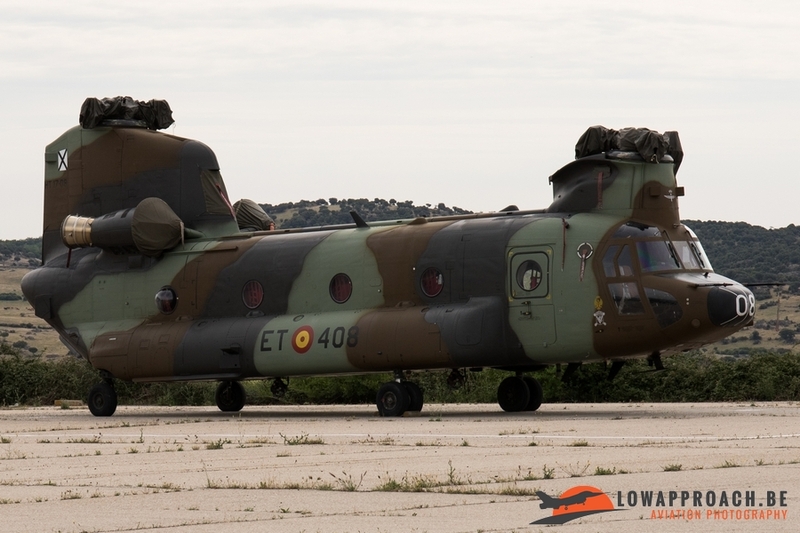 Apart of the helicopters that we saw at Colmenar Viejo also the Canadair CL215/415 fire-bombers based at Torrejon are allocated to UME. Headquarters of BHELEME II is on the base of Bétere (near Valencia) , but this unit has a detachment at Colmenar Viejo. 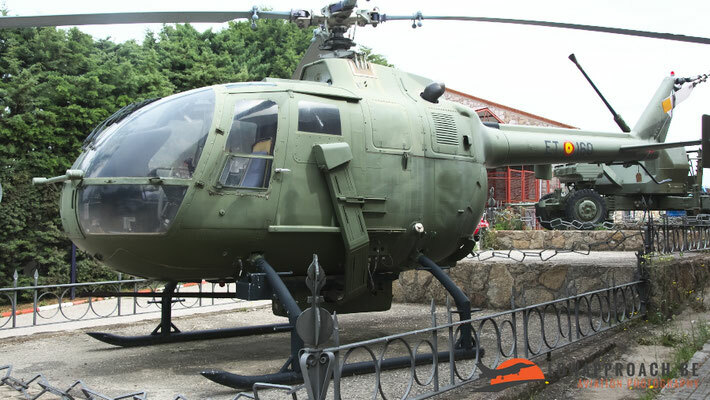 Final part of our visit was the base museum. This museum covers the complete history from FAMET and the door of the museum is 'guarded' by an armed Messerschmitt-Bolkow-Blöhm Bö105C-LOH. 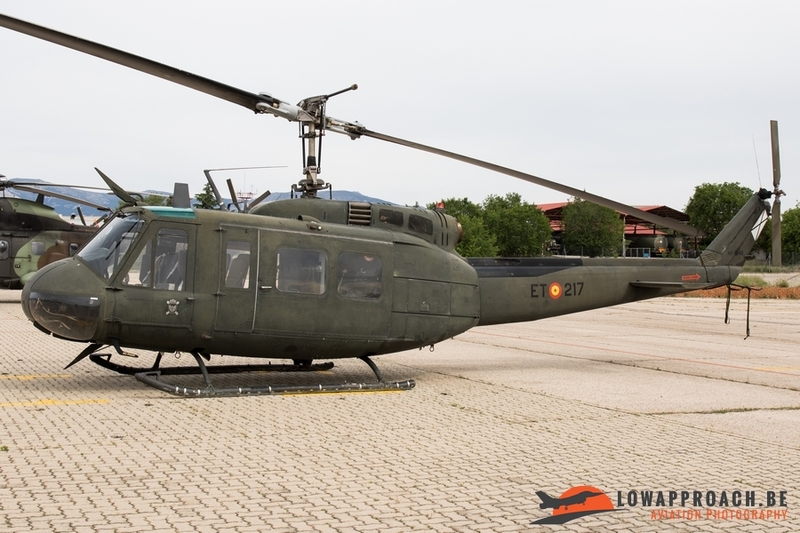 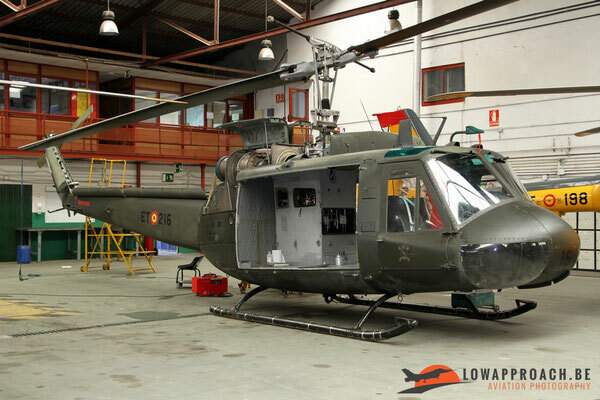 Centrepiece of the collection is the first helicopter that ever landed at Colmenar Viejo, a Bell UH1B Iroquois with serial HU.8B-10/ET-206. 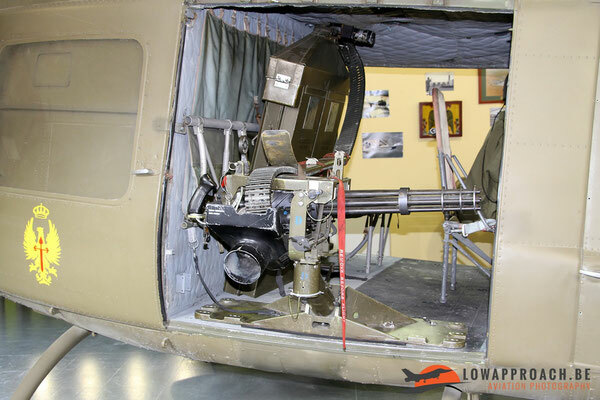 In addition a number of weapon systems are present and a recreation of a Chinook fuselage which is used as a 'cinema' to show videos to the visitors. 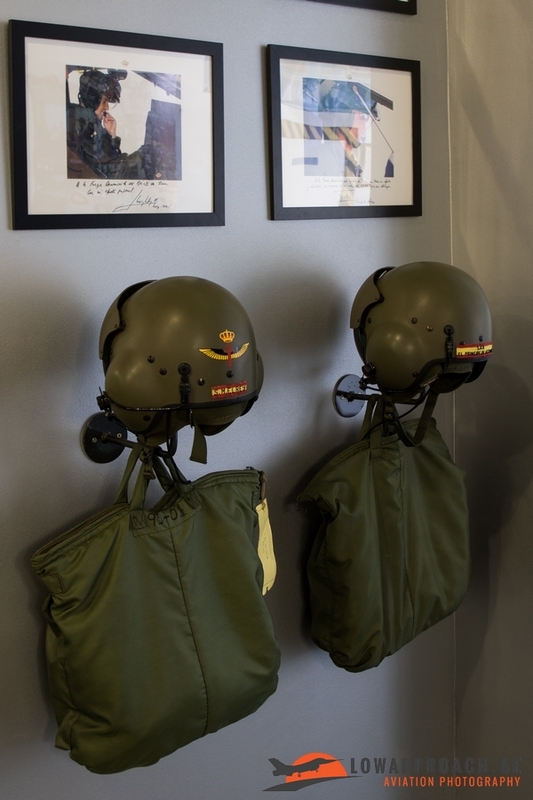 A nice detail was the presence of the helmets and flight bags of both King Juan Carlos and his successor, King Felipe II. 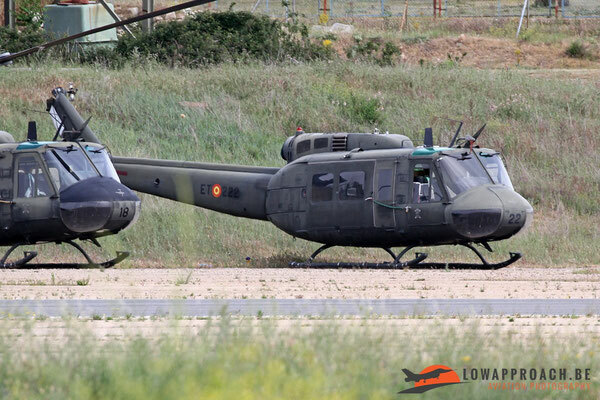 Both are helicopters pilots and regularly come to Colmenar Viejo to perform a number of flying hours. 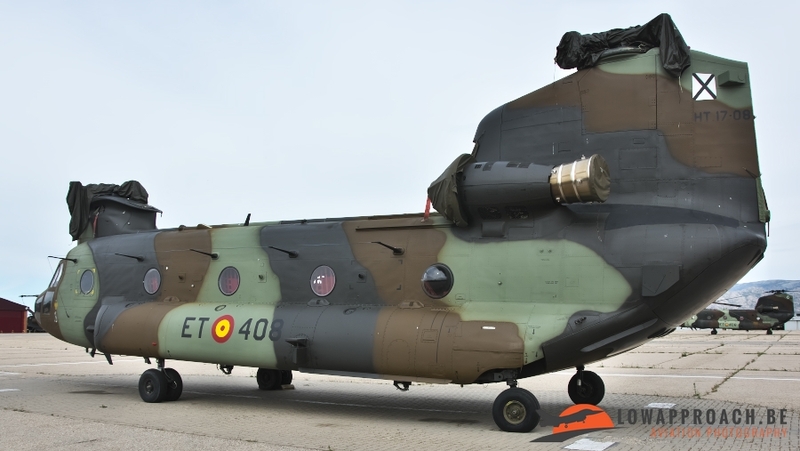 After the visit to the museum it was time to say goodbye to our hosts. 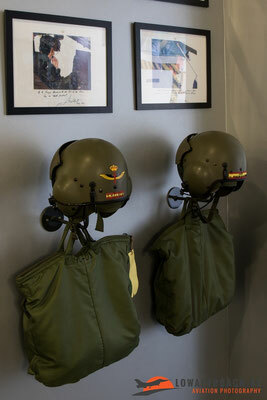 After the exchange of some presents we left the base with a lot of great photo material and newly acquired knowledge. 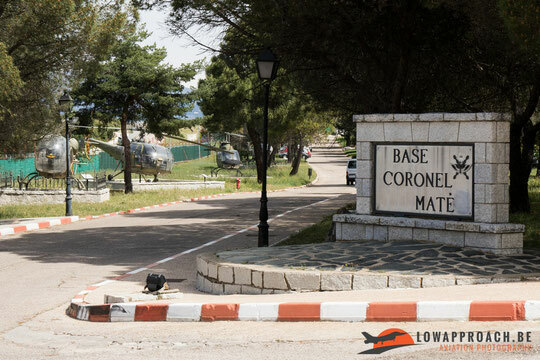 Our visit to the base of Colmenar Viejo was one of the highlights of our Spanish tour and we want to thank our two hosts, Major Vida, Captain Herrero and all the people in the various departments who provided us with their expert explanations for their time and hospitality, it was greatly appreciated by all of us !